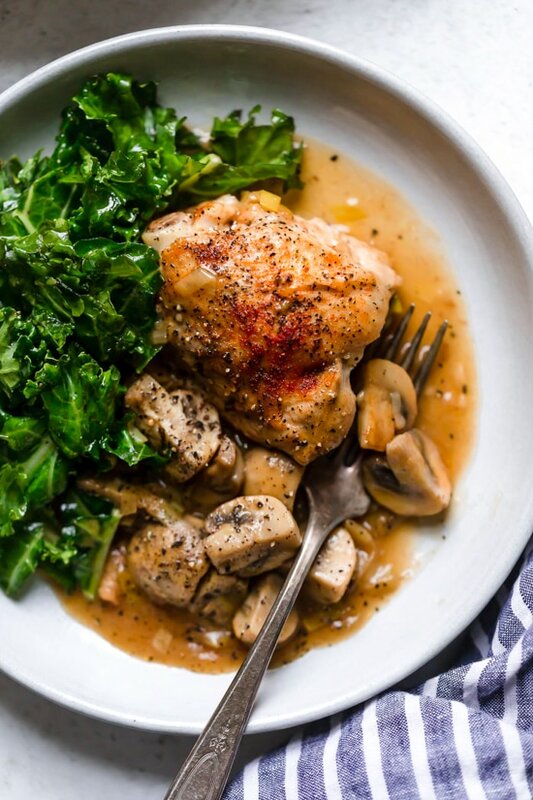 Braised Chicken Thighs with Mushrooms and Leeks is the perfect cold weather comfort food. Nothing makes a cold winter night more bearable than a hot and hearty meal made in the oven. Some dishes I love to prepare in the winter are Braised Brisket with Potatoes and Vegetables, Turmeric Braised Chicken with Beets and Leeks, and Baked Chicken Enchiladas.